Architecto WordPress theme will be an All in one solution to you. 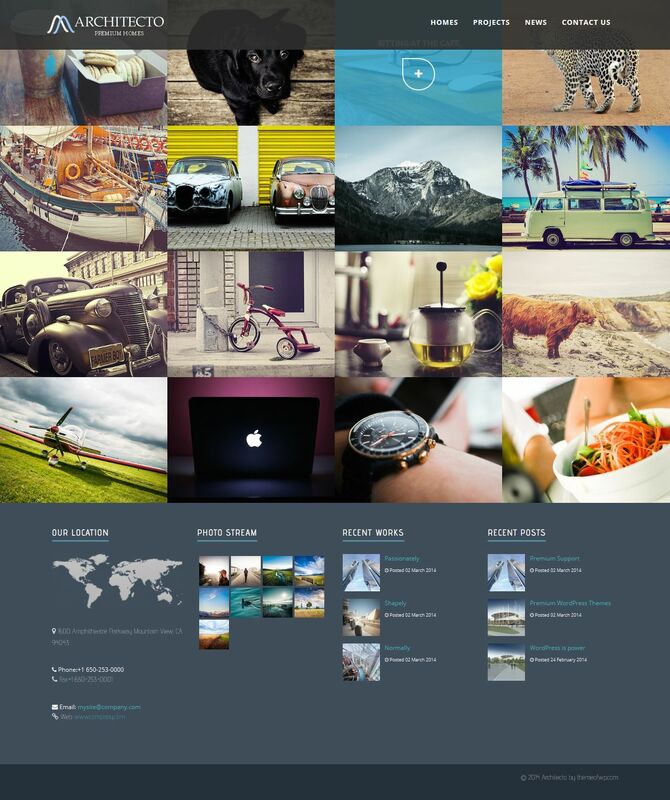 Architecto was handcrafted, pixelperfect and will be perfectly fit any device and website. Architecto %100 responsive and multipurpose! Looks perfect, every secreen resolutions,any device and major browsers. Architecto %100 responsive and multipurpose! Looks perfect, every secreen resolutions and any device. Tested with Android, iPhone5, Nexus, iPad and all other devices! Also compatible with all major browsers. Architecto comes with $15 worth “Visual Composer” plugin and you will create your content more impressive more effective and more valuable! Visual Composer is a Frontend and Backend Drag and Drop page builder. And Architecto included it in theme package! Architecto comes with $15 worth “Untimate Addons for Visual Composer” plugin and you will create your content more impressive more effective and more valuable! Architecto comes with $15 worth “Master Slider” plugin and you will create your content more impressive more effective and more valuable with over the 30+ sliders! 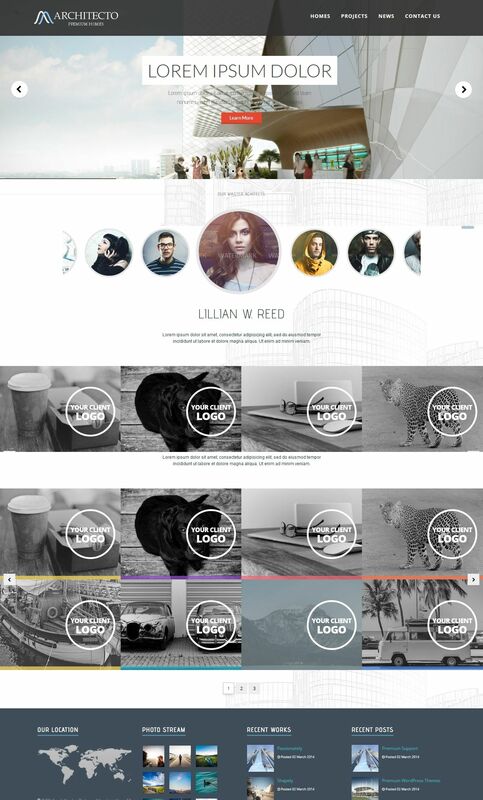 Architecto comes with $15 worth “Essential Grids” plugin and you will create your content more impressive more effective and more valuable with over the 30+ portfolio style! Architecto WordPress theme is absolutely retina ready! You can set your retina settings in the retina options. We’ve included extended and advanced theme options panel in Architecto WordPress theme. You can install Architecto within a couple of minutes! it will be ready for you via WordPress uploader or via FTP. See detailed installation help video or documentation. Architecto WordPress theme has a lot of options for style and comes with 10 predefined skins. You can customize it, as your wishes! Architecto translation ready and included with main mo/po/pot files. RTL is built-into the Architecto. Also theme %100 WPML, qTranslate compatible! Architecto WordPress theme included Fontawesome & Bootstrap! You can use every part of this amazing addons! Architecto includes extensive and detailed crafted documentation. Every details explained in the documentation if you need. You will access the documentation on the theme options panel. Architecto allows you to create unlimited sidebars and use them unlimited areas. You can assign them to any page and any widget. Architecto includes predefined widgets for you. You can use anywhere and anytime. Architecto theme guarantee under our fast and reliable support team. We care all about your requests and website and works, so you’re the #1 piority for us! Architecto includes theme options back-up, restore, import features. You can use this functionality and save your time. 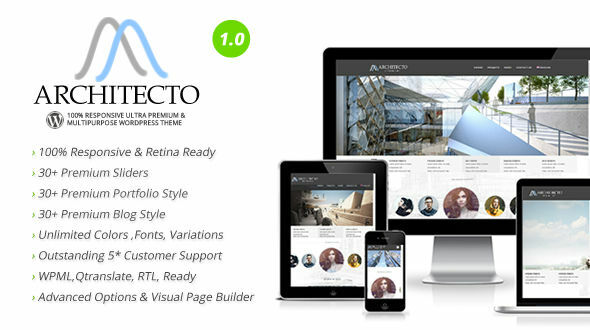 Architecto %100 ultra responsive & multipurpose! Looks perfect, every secreen resolutions, any device and major browsers.